Jupiter (upper left) over La Silla Observatory, Chile. Two of its Galilean Moons are visible as it sets over the mountains. 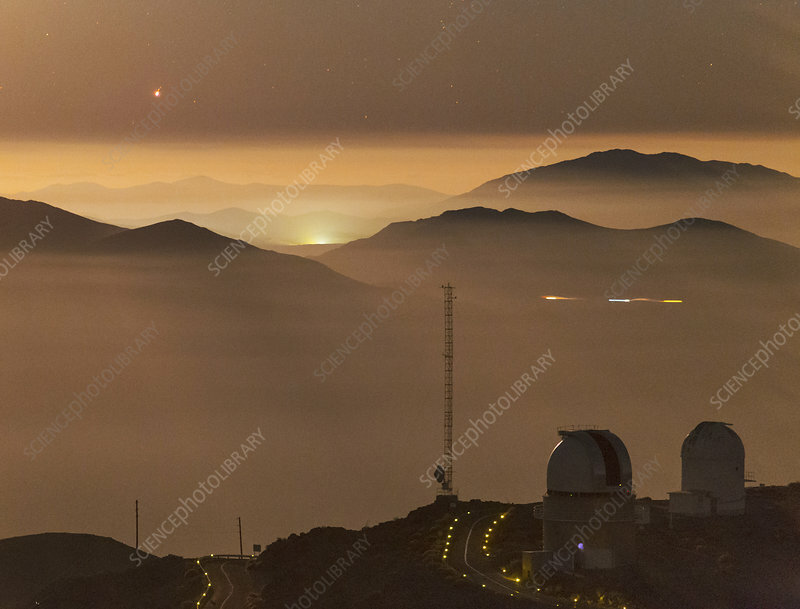 Photographed on a moonlit night over La Silla Observatory in the southern Atacama Desert, Chile. On the lower right the 1.5 meter Danish National Telescope. This site is operated by the European Southern Observatory (ESO). La Silla was ESO's first observing site and is still one of the leading observatories in the southern hemisphere.